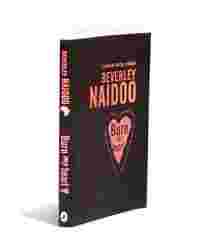 Burn my heart: By Beverly Naidoo, Puffin, 186 pages, Rs215. Loyalty, suspicion, standing by one’s friends, prejudice and learning not to hate are some of the human sentiments that Burn My Heart touches upon. Set in Kenya of the 1950s, the book is a boy’s-eye view of colonialism in Kenya. If destructive history is not to be repeated, if human dignity is to be respected, Beverley Naidoo’s book certainly hits the spot. Kenya in 1952 was seething with revolution, much like India in the 1930s and 1940s. Anti-colonial anger was at its peak and a band of revolutionaries calling themselves Mau Mau—these were the younger members from the Kikuyu tribe—took to violence and the British government declared an Emergency. And any member of the Kikuyu who worked for the English—like Mugo and his family—was considered a traitor. Looking beyond the politics, Burn My Heart focuses on how a chain of events changed the lives of Mathew and Mugo forever. An accidental fire set off in the Grayson farm by Mathew and his friend Lance has disastrous consequences as the first suspects are Mugo’s family and the other Kenyans working in the farm. A belated confession by Mathew is of no use as the “labour" family is transferred to a special camp for “terrorists". It doesn’t help when it is discovered that Kamau and his family have taken the secret oath of resistance to the British oppressors. And that Mugo’s elder brother is an active member of the resistance. A childhood that was spent in picnics, hunting for small game with Mathew’s dog Duma and riding horses is shattered. While the Kenyans view their British masters with hostility, the Englishmen can’t seem to trust their helpers. That percolates to the sons, too. Mathew and Mugo’s happy relationship has given way to a strained attempt to maintain a facade. Naidoo raises some unsettling questions. “Our parents’ stories," she notes, “help to shape us. Do you remember the first shock at hearing a story that contradicted a parent or trusted adult? Stories, like experience, can plant seeds of change. We do not have to be fixed." Any grown-up who reflects on his childhood will surely find some story told by an adult that contradicts reality when he, or she, is actually able to comprehend. The last time Mathew and Mugo see each other is touching. The English boy waits at the fence as Mugo’s family is driven out of the land that is theirs. Mugo ignores him and walks away to the truck that is going to transport them. Throughout the journey, one question haunts him: Should he let the fire of hatred consume him? What’s most exciting for Naidoo (she writes on her website) is when she feels that her writing has really touched a nerve. Naidoo, a Carnegie Medal winner, quotes an 11-year-old child who wrote to her: “Why shouldn’t young people learn what is really happening on Earth? The quicker we learn, the more intelligent we shall become. That way we can make peace."